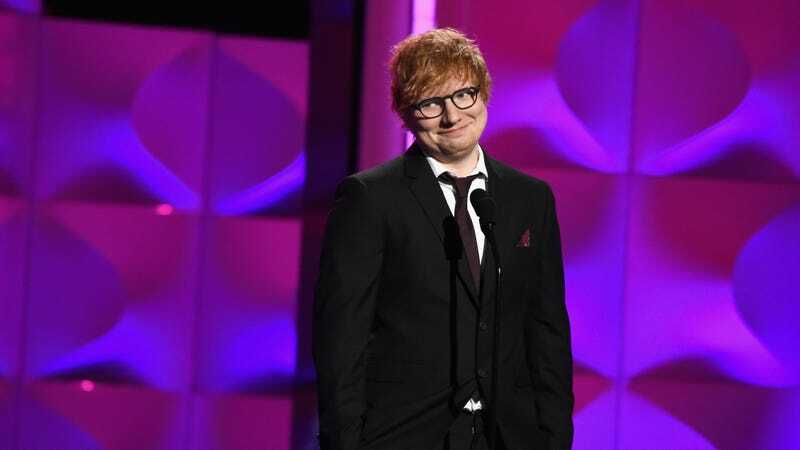 Highly regarded wedding singer/nuisance Ed Sheeran announced this morning on Instagram that he and Cherry Seaborn will be having a ceremony of their own! They have been engaged since 2017, and the cats are “chuffed as well” because they are British. Am I out of touch for seriously contemplating Justin Bieber’s movements on the morning of the government shutdown, while the House gym is allegedly running out of towels and low-income children are running out of healthcare? Yes. Since he stepped back from entertaining several months ago, Justin Bieber’s Instagram has been a sometimes titillating, often mystifying, probably exorbitantly expensive several-month world quest in pursuit of answers to life’s questions; I am 100% all-in on this trip. He whiteboards Jesus hypotheses (and he is EXHAUSTED); he embraces trees; he’s Home Alone; he boycotts shirts as a policy; this is really sweet; he reunites with his mom on vacation what is he pointing at? TMZ reports that 27-year-old rapper Fredo Santana, who’d been battling liver and kidney problems, passed away on Friday night after a seizure. He was also known to be suffering from an addiction to lean, which causes seizures. Fellow performers have been paying their respects. Somebody in media is going to have to put up a credit card to subscribe to Kim Kardashian’s online shop, the source for baby news. We brought it upon ourselves. Six years after Danny hung a “for rent” sign on the shore house, the Jersey Shore kids reunite to reflect on the three ways and arrests of summers past. TMZ has “First photos!” which is a 36-image flipbook of them slow ly walk ing up to each oth er. They drink out of wine glasses now.